The great Jim Clark lost his life in a Formula 2 race at Hockenheim in 1968, and it is only fitting that one of Germany’s biggest historic race meetings bears his name. Current racing series have also “guest starred” at the Jim Clark Revival in recent years, most notably the German Formula 3 Cup. 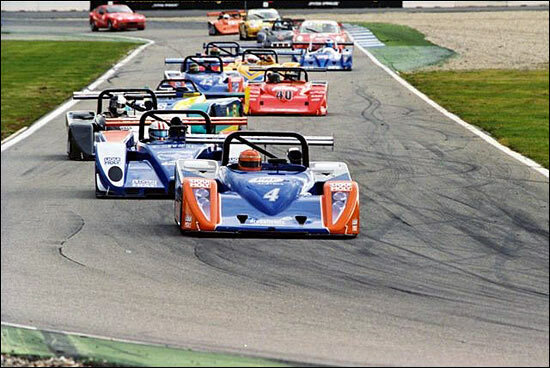 Now the Sports Car Challenge joins forces with the German Radical Race Cup at Hockenheim, to represent current sportscar and GT racing in the 2007 edition, on April 28/29. While this is the first time these two championships will work together, it may not be the last. The joint JCR appearance could be seen as a “toe in the water” for more shared events in the future: fittingly, the calendars for both series share the dates at Dijon and Monza, two of the more renowned European circuits, later in the year. For the moment, nothing definite has been announced with regard to these two meetings.